This brand-new title in Laurence Anholt's beautifully illustrated children's series of stories about famous artists recounts a wonderful adventure experienced by Paul, a little boy who is named after his father, Paul Cézanne. The elder Cézanne had been away from home for so long that the boy has difficulty recognizing his father when he joins him on a painting expedition in the mountains of southern France. They quickly become fast friends, and the artist takes great pleasure in painting a portrait of his apple-cheeked son. Most of his paintings, however, are landscapes of the mountain country where they are camping, although the people who live nearby often laugh at the artist's pictures, which they think are poor. But young Paul admires his father's work--and he is not alone. A picture dealer from Paris happens to be in the region, and when he sees Cézanne's paintings, he thinks they are wonderful. Before long, Cézanne becomes famous and wealthy. 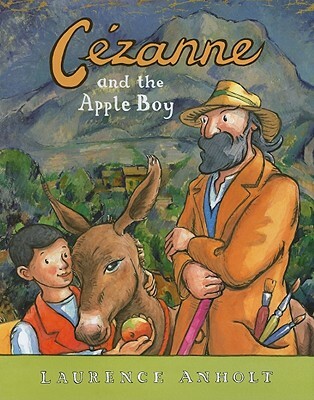 The story, enhanced with Laurence Anholt's illustrations on every page, include several that are reproductions of Cézanne's famous paintings.